What Influences the Cost of A New HVAC System? The U.S. Census has determined there’s more than a 50% chance your home was built prior to 1990. 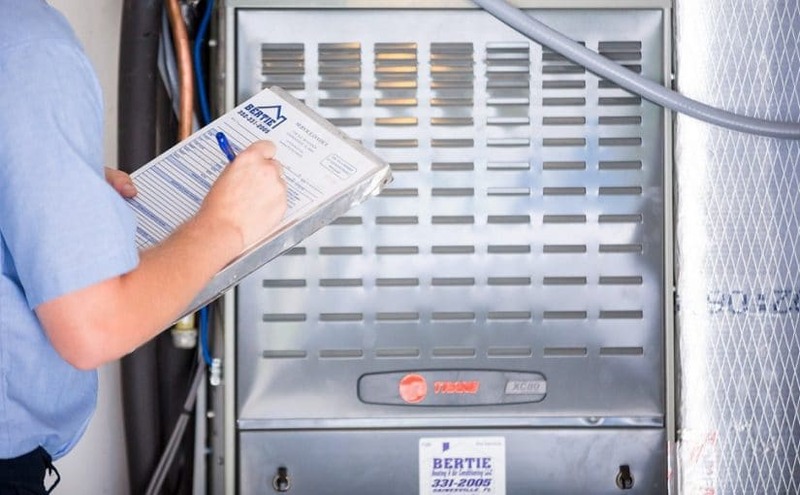 Did you know most HVAC (Heating, Ventilation, and Air Conditioning) equipment will probably need to be replaced in millions of homes across America? How you understand what drives the cost of a new HVAC system will assist your purchasing decision as well. Let’s take a closer look at what influences the cost of a new HVAC home comfort system. Energy efficiency, size of your home, type of system, ductwork, optional accessories, and how you’ll pay for the new system will influence how much you’ll pay for it. You can improve your home’s energy efficiency by replacing your HVAC system with a quality, energy efficient system that may cost more upfront, but it will pay for itself over the lifespan of the new heating and air conditioning system. The savings are more obvious on your utility bills due to the amount of energy consumption. Most homes from this era had an HVAC system installed larger than what’s needed. Bigger is not better when it comes to the air conditioning system. Always get a load calculation for your home to ensure the system meets, not exceeds, the required heating and cooling load. An oversized HVAC system can create heavy moisture levels leading to bacteria growth, uneven airflow across the entire house, and a loss of efficiency. On the opposite end of the spectrum, you’ll find a system that is sized too small for your home will underperform during the hottest or coldest of days. In addition, the system will operate more often allowing undue stress to wear out parts frequently. There are heat pumps, furnaces, split and packaged systems, and ductless mini-splits available for your home. Most homeowners choose to replace a “like for like” home comfort system. Each system option can have different costs associated based on how it’s installed to where it’s installed. You may not want the system in a closet at the center of your home because of the noise it generates while operating. Speak to one of our Comfort Consultants regarding costs and all the best options in your home. The ductwork is the most left-out component of your HVAC system. Ductwork is like the veins in your body transporting blood. Ductwork are the channels for the air to flow throughout your home. It’s important the ductwork is sized properly just as is the heating and air system. Poor ductwork can create airflow challenges and allow high amounts of condensation to produce bacterial or fungal growth. Leaking ducts can reduce your system’s efficiency. Our Comfort Consultant can inspect the quality of your ductwork prior to making the new HVAC purchase. Optional accessories can be installed to maximize your heating and air conditioning investment. UV lights and air purification systems are considered add-ons to improve the air quality inside your home. These add-ons are great for those who suffer from allergies, but the add-on cost and annual maintenance should be taken into consideration for your total costs. The a/c system will cost you thousands of dollars. There’s no way to break it softly. However, if you don’t have the cash saved up for this unexpected or planned expense, then you’re most likely going to finance the remaining or all the amount. Is it less expensive to put this cost on a credit card? Some manufacturer’s offer financing as a low-cost option. Trane’s partnership with Wells Fargo has terms with no interest and/or equal monthly payment options. Contact our office or schedule an in-home visit with our professional Comfort Consultants to help evaluate your available options.